As the leaves start to fall from the trees, don't remove this - it makes an excellent organic mulch for a garden. Did you know that it is far better to add leaf mulch to your beds that remove and toss out? As leaves decompose, they release valuable nutrients that help nourish your soil. Rather than clean out your beds, use a fork to incorporate leaf mulch into the soil or add to the base of shrubs and plants to feed them. Not only does leaf mulch feed your garden, this organic material also helps the production of microbes in the soil. Microbes are essential for a healthy soil, plus you will also find an increase in earthworms as a result of rich soil. If you have a leaf shredder you can use this to break up leaves so that they will decompose even faster. Adding leaves to flower or vegetable beds also helps to aerate the soil and break up clods. Regularly turn the soil with a garden fork, adding leaves as you work, to keep it healthy and loose. You can add leaves to your compost heap or compost bin to add nutritional value. It is better to break up any leaves, either using your lawn mower or a leaf shredder. 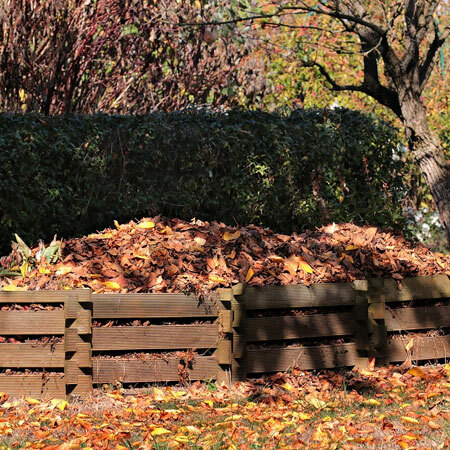 Fallen leaves are a high-carbon material that is excellent for bulking up your compost. 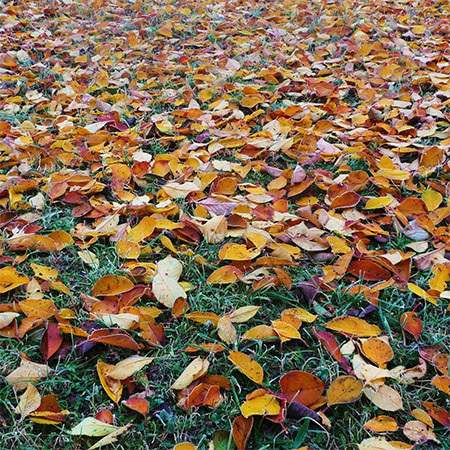 While leaves are great for flower beds, they are not good for a lawn. Too many leaves on your lawn can smother the grass and cause new growth to rot. 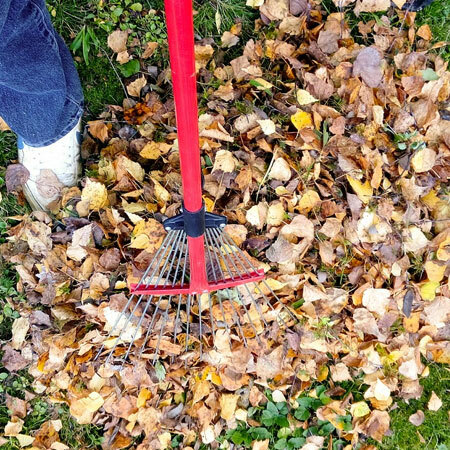 Any leaves that fall on the lawn can easily be raked up and added to plant and vegetable beds. When cleaning leaves out of gutters you can also add this to your flower beds for a healthy soil. 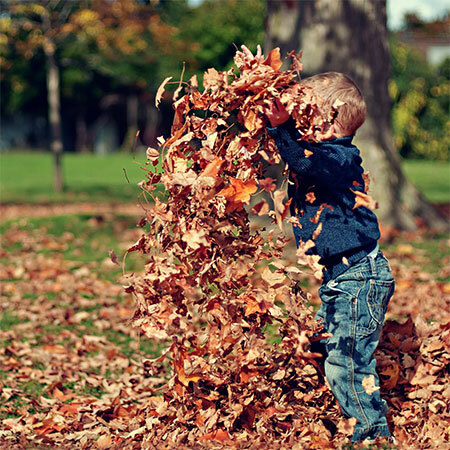 Wet or dry, leaves will eventually decompose to provide valuable nutrients.